A poor man's heart through half the year. It is as true today as it was then and in the olden times which he described. There is no doubt that a good winter tale steals the attention and the hearts of its audience. Every writer has to at some point envy the work of their preceding contemporaries and wish that a favorite winter story had flowed from the nib of their pen. Should they live and compose long enough they might eventually have a Christmas tale to their credit. The story at the center of all these tales is the greatest ever told. It is the fulfillment of the most complex prophecy, and we are all here because of it, and share in the celebration as Christians have world wide since Christ’s birth. 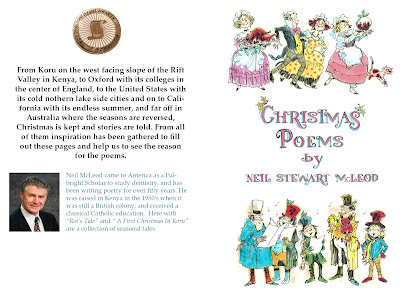 From Koru on the west facing slope of the Rift Valley in Kenya, to Oxford with its colleges in the center of England, to the United States with its cold northern lake side cities and on to California with its endless summer, and far off in Australia where the seasons are reversed, Christmas is kept and stories are told. From all of them inspiration has been gathered to fill out these pages and help us to see the reason for the poems. Available on Amazon here is my latest collection ready for the coming winter season! 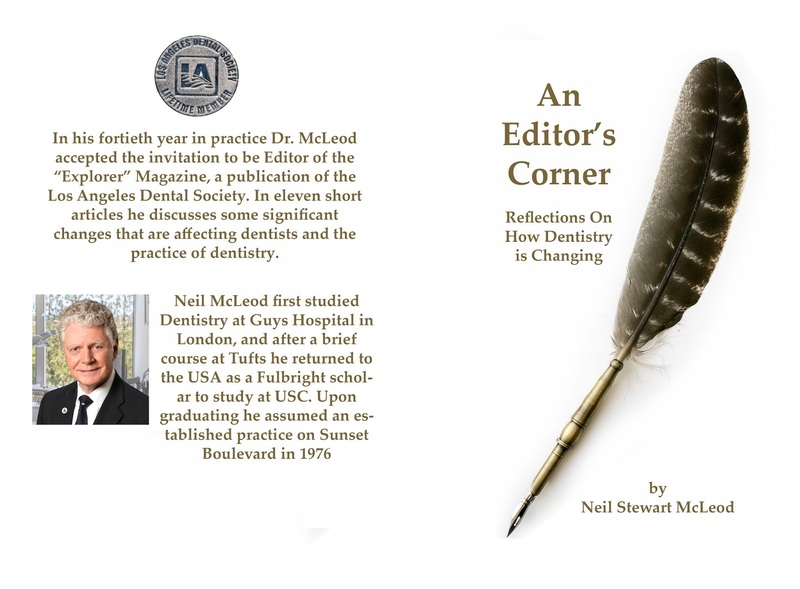 For two years, from 2015 - 2017, I have had the privilege of serving as “editor” of Explorer, the newsletter for the Los Angeles Dental Society. I put the word editor it in quotation marks because the real work of overseeing the production and conning through the content fell on the shoulders of Teresa Chien, the Executive Director, and her staff. My task was to come up with something interesting and pithy that was topical that might catch the reader’s attention, and try to do as good a job as my predecessors like Dr. Kenneth Jacobs. Running through these short articles is an appeal to our profession to keep up to date and yet exercise caution as we do so. We have an amazing history being responsible for the introduction of fine miniaturized drills, anesthesia implantology and exquisite ceramic prosthetic replacements. Here then are the eleven articles that were published as the Editor’s Corner. The opportunity to expand content and add a poem was irresistible. Should you get a chance to read it please write a review for me.